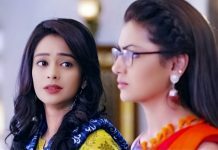 High Points in Kumkum Bhagya: Pragya thinks to tell Abhi everything about Kiara’s truth after Neha and Tarun’s wedding tomorrow. 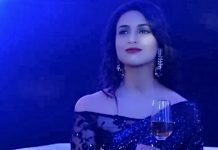 She thinks she can’t hide this fact from Abhi that Kiara is his daughter and wants to unburden herself. Abhi tells Disha that Pragya’s love gives much happiness at first and then tortures a lot. He says he can’t bear anymore now and that’s why got drunk. He says he wants to end the fight of mind and heart. Disha asks if something happened with you, and asks if someone told him anything. Abhi tells her that Pragya is getting married to King. Disha is shocked. Abhi tells her about his argument with King and his decision to marry Pragya. Pragya admires the mangalsutra she had bought. King sees her admiring it and asks if she liked it. Pragya says that’s why she bought it. King thinks how to propose Pragya for marriage. Pragya wants to tell King about Abhi. 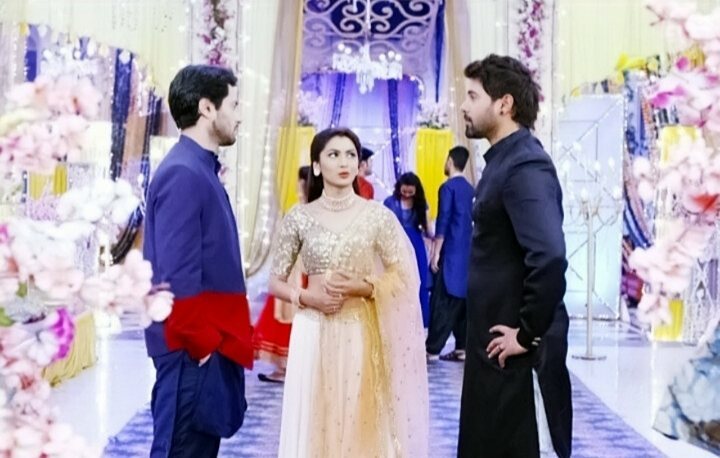 Kundali Bhagya: Monisha thinks about Karan’s deal and asks him what is the guarantee that he will marry her if she supports his family and withdraws the case against Rishabh and says you can back out too. Karan calls the press conference and his family. He holds Monisha’s hand and takes her out. He announces he will marry Monisha after 5 days. Preeta is shocked. All Kundra family gets shocked by his sudden move to take Rishabh out of lockup. Preeto confronts him for his decision. Karan is doing this big sacrifice for Rishabh and promised to give the half property to Monisha. Raja Beta: Vedant is leaving for his hospital in the morning. Ramesh asks him if Maharani woke up or sold the house respect also with the horses. Purva wakes up and hears him saying that. Ramesh asks Vedant to wake her up and asks her to make tea for everyone. He shows them the door if they want to have free food. Vedant questions him asking if he gives her place of a bahu of this house. Ramesh says never. Vedant says then why Purva shall do the duty of a bahu. Purva sees Vedant fighting her for rights and self-esteem. She tells him that she will not agree upon something which is forced on her. Ramesh locks the kitchen saying until Maharani changes her thinking, this door will not be opened.